Free In Studio Design – what?! Can’t find what you are looking for in our online shop? 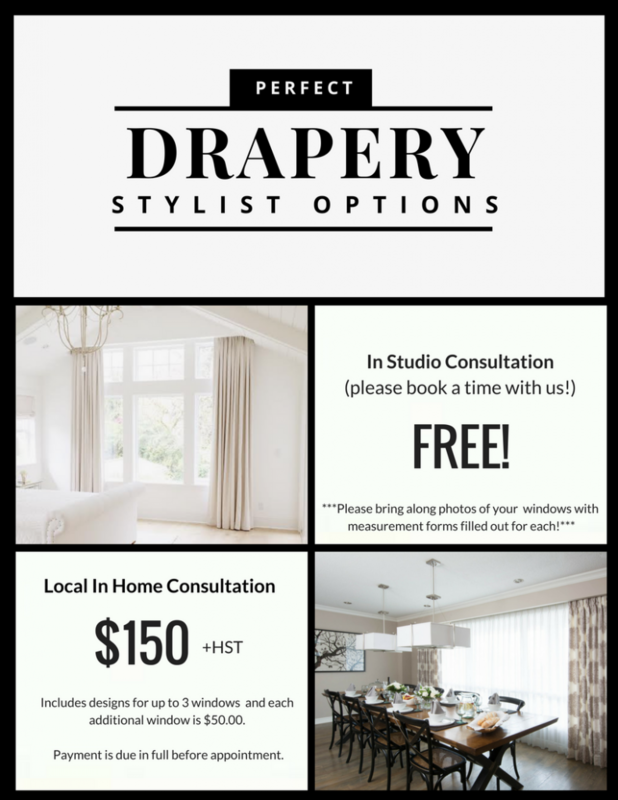 Not to worry, near or far, we specialize in making simply beautiful, totally custom treatments too and we have thousands of fabric samples and trim options in our studio to make that totally custom drapery just perfect for your space AND we do free in studio consultations if you live nearby! If not, that’s cool, we do free email consultations too! You are welcome to email Crystal at crystal@qdesigncentre.com to set up a time to come in to the studio or you can get a quote by email if you already know your sizing and which style, fabric and hardware you would like to use! If you need an in home consultation we can set that up as well!